Although there is controversy from the public surrounding the use of stem cell therapy, the scientific community is really excited by the prospect it brings to new medical breakthroughs. Originally, in the United States, President Bush had put a ban on federal funding for stem cell research, but this was later lifted by President Obama. So what exactly are stem cells and why are they leading to debates between a wide range of communities and backgrounds? The difference between stem cells and ordinary cells is that they have the ability to turn into any type of tissue within the human body. For example: A stem cell that has been obtained from bone marrow in the body, could in fact be turned into a nerve cell or neuron inside the brain. Because of this, scientists believe that damaged cells can be replaced with healthy ones offering benefits and even cures to a wide range of life threatening illnesses. 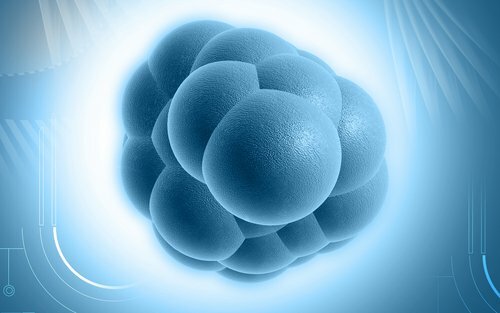 There are two main types of stem cells in the human body – embryonic (ESC) and non-embryonic. ESCs are taken from the inner cell mass of an early stage embryo, usually less than a week after fertilisation. On average ESCs will contain between 50 to 150 cells. Non-embryonic cells are also known as adult stem cells (ASCs) and these are found in an adult tissues. ESCs are seen as being more important in medical research as they have the ability to transform into all types of cells in the adult body. ASCs, on the other hand, can only form a limited number of cell types. The reason that stem cells are so important is due to the fact that they can be converted into any other type of cell of tissues within the human body such as heart muscle cells, neurons in the brain and pancreatic tissue. This means for example that stem cells taken from a person’s bone marrow could be used to treat someone who suffers from heart muscle damage. It could also be used to treat anaemia with stem cell transfusion. Stem cell therapy is therefore continuously being researched to look into dramatically changing the way that serious illness and disease can be treated. Another line of research which has been promising is the way that stem cell therapy can have an effect on aging. It is now a popular therapy used by people that wish to reverse the effects of aging. There is still a lot of research to be done regarding using stem cell treatment to cure disease and illnesses, but things are looking promising. Although controversial in many western countries, the practice is carried out in eastern countries on a regular basis and this has led to an increase in medical tourism for stem cells, with many people heading to countries such as Thailand to complete the treatment.